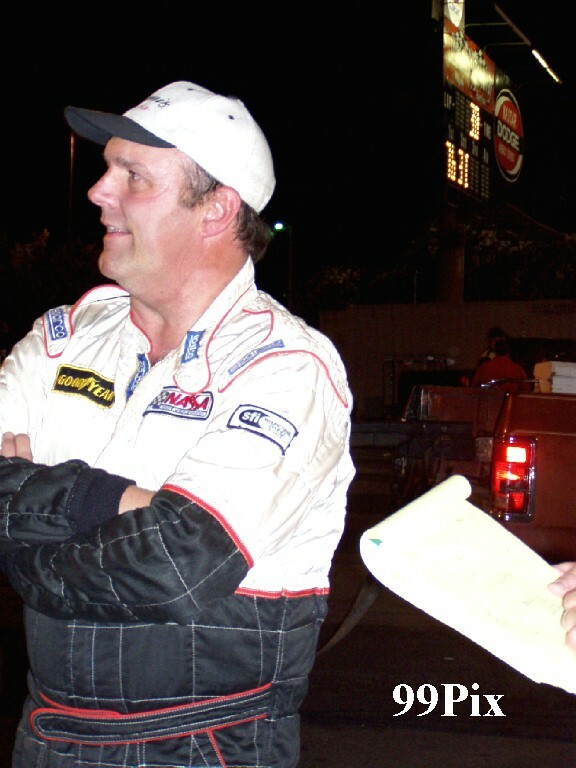 Dave Byrd wore a big smile after recording his fifth victory in the Western Late Model class Saturday night at Stockton 99 Speedway. 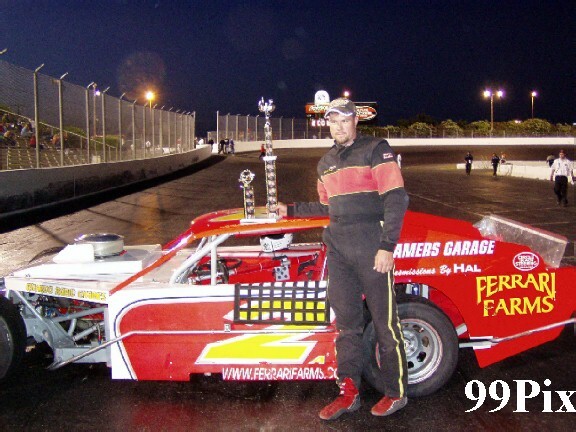 The Pacific Grove driver had trouble in the corners, there was oil on the track, and he still registered his 43rd career win in front of a crowd of 972. And with double points offered, well, the smile. "They're not getting any easier, I swear," the two-time track champion said. "They're right there, all of them: 11, 5, 27 -- all of them." Byrd was speaking of Chris Monez, #11, of Turlock, Pete Anderson Jr., #5, of Stockton and John Moore, #27, of Granite Bay. Moore qualified No. 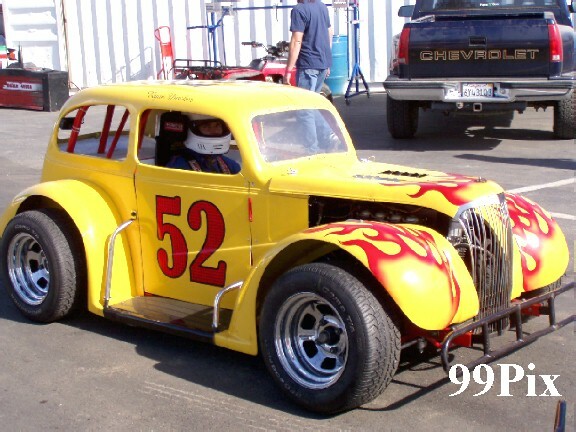 1 in time trials for the second week in a row, this time at 14.358 seconds around the quarter-mile paved oval. Moore finished second to Byrd but felt he should have won. "The oil cost us," said Moore, who spent several laps sliding in turns 1 and 4. "We would have won the race. I'm confident of that." 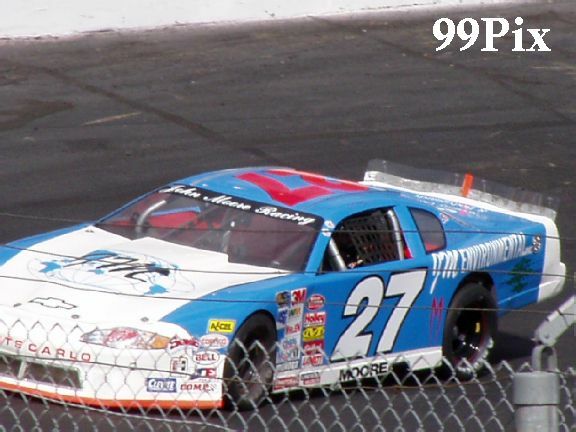 Several changes were made to Byrd's car, and it almost cost the team. He had to be extra careful in turn 1. "The car was turning too good," he said. "The nose plants, and the rear end can't keep up." 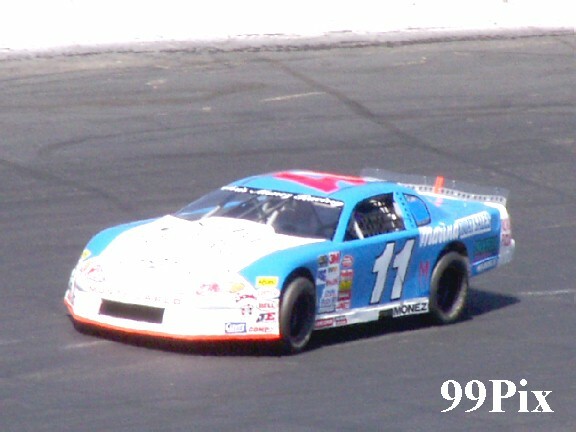 Moore eventually made a move for the lead in turn 1 but drove through the slippery stuff and slid up the bank. He hung on to second place, but Byrd was gone. Byrd and Monez tied for the third-fastest time, and the invert put Byrd on the pole. He led the entire way. Said Byrd: "It's going good. That's it." Dave Daniel of Salida found a groove, had no one in his way and led the final 23 laps to score his first main-event victory. 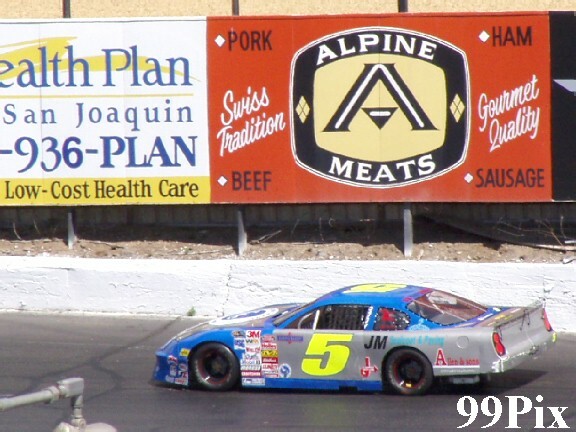 Daniel beat Ron Robeck, #3, of Milpitas across the finish line by about three seconds in a race that didn't have a caution flag. 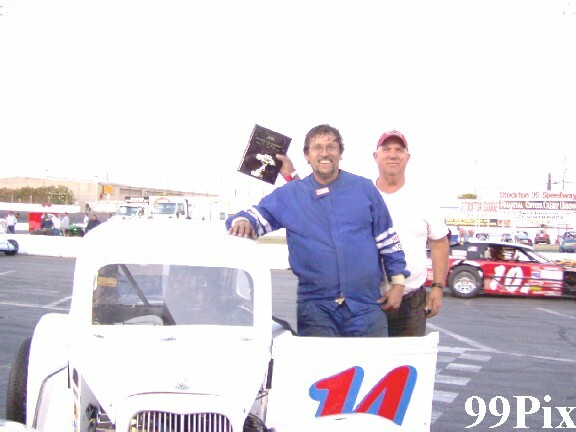 Robeck was the top qualifier and won the trophy dash. 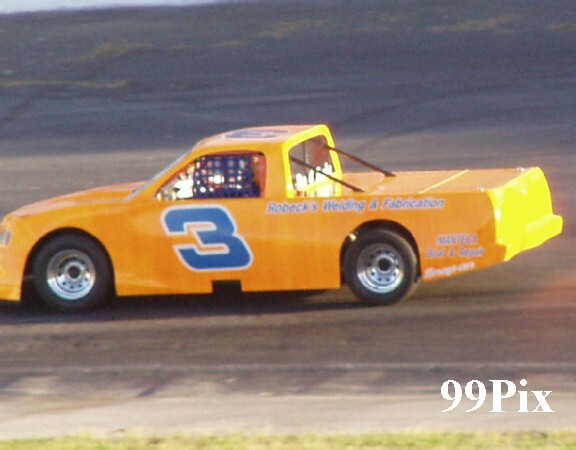 The Modified drivers returned after a three-week break, and nothing changed. Jason Kerby, #2, of Galt, Ted Montague IV, #34, of Newark and Jay Linstroth, #10 of Citrus Heights banged every part imaginable for most of the first 25 laps until Montague and Linstroth finally locked up. They ended up slamming into the infield wall in the backstretch, and Kerby drove to his fourth win of the season and the 14th of his career. Montague led from the green flag with Linstroth and Kerby running second and third, respectively. 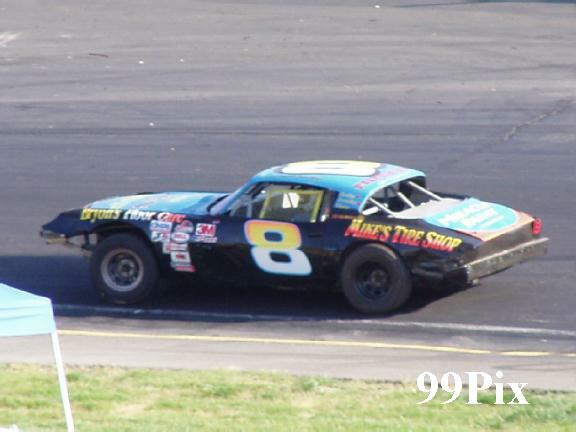 Linstroth tried to slip inside of Montague in turn 2 on the 25th lap. They came together, couldn't separate and crunched the wall. 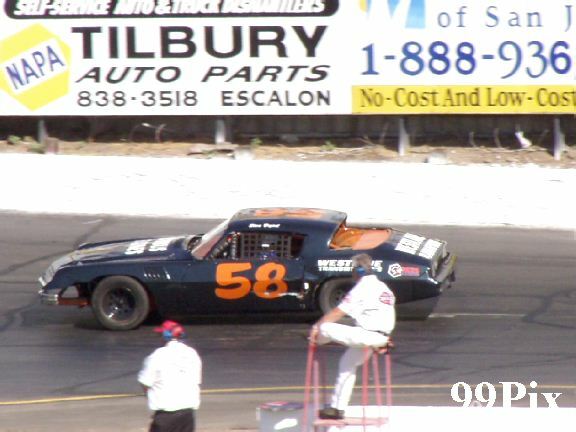 Richard Harper of Stockton passed Steve Bryant, #58, of Stockton for the lead on lap 6 and led the remaining 24 laps to record his first main-event victory. 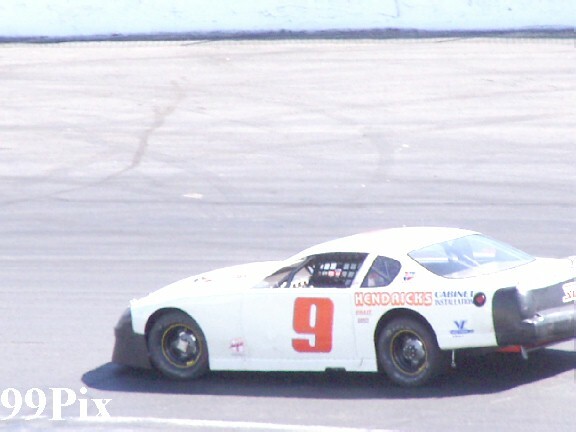 While Harper dominated, six drivers took a turn in second place. Bryant, #58, of Stockton finished second with Kannai Scantlen, #8, of Stockton third. 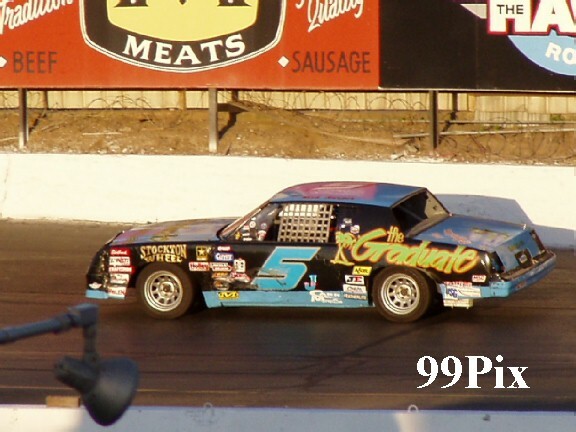 Charlie Clawson, a four-time winner this season, broke the track record after coming close in recent weeks. 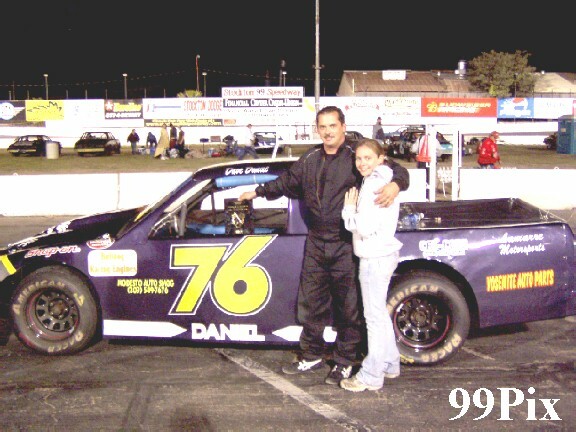 Clawson's time of 16.614 seconds in qualifying broke the old record of 16.655 set by Michael Wendt on April 19, 2003. 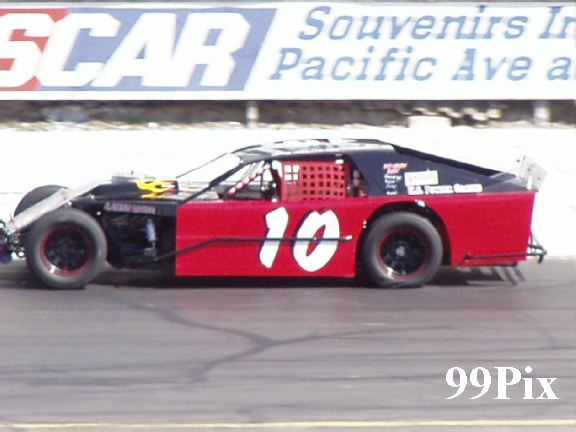 Frankie Winchel of Sebastopol took the lead on lap 16 and drove to a 2-second victory over Mark Bailey of San Lorenzo. 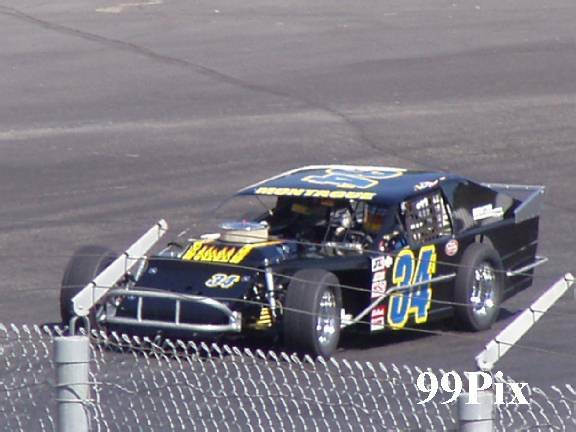 Fast qualifier Ryan Mosher, #52, of Cupertino was third.